I'm back with a new tutorial! 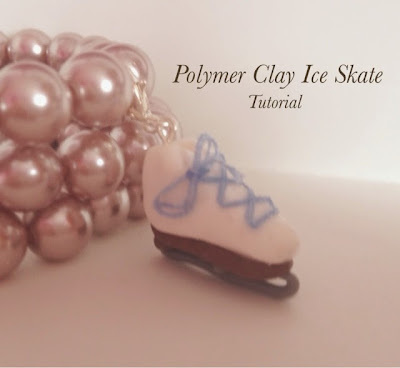 Recently I tried to find an online tutorial on how to make an Ice Skate charm- however I could not find what I was looking for. So here we have my own tutorial! Hope you enjoy! ~A Range of Modelling tools. 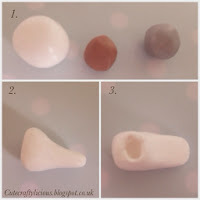 To start take your clay and roll each colour into balls(1), then mould the white clay into a foot shape by pressing and rolling the one side(2). Once your white foot is done add a small oval indentation at the top of the thickest part of the foot(3) (this will be the end where you would put your foot in). Next roll out the brown clay and place your clay foot on top(4), then cut around the outer shape of the clay foot(5). Press the brown clay to the underneath of the sole and add a brown clay heel(6). To prepare the grey skate, roll a sausage of grey clay in proportion with the rest of your clay ice skating boot(7). Add the grey sausage onto the sole of the boot and mould into a hook at the toe end(8). Add and eyepin and bake using the instructions on your clay packaging. I usually put my Fimo in for 20-30 mins on 110 degrees Celsius(8). 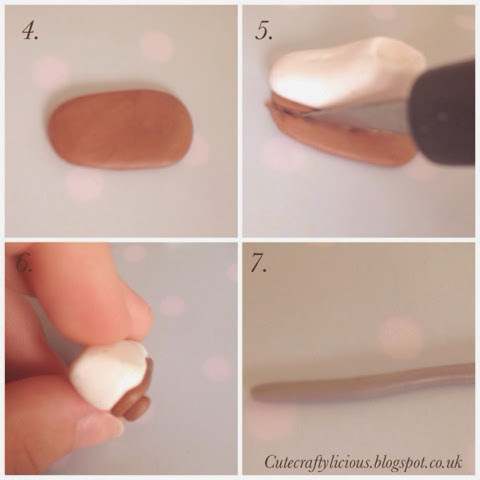 Once your clay is baked and cooled position the clay skate blade in some blue tack. 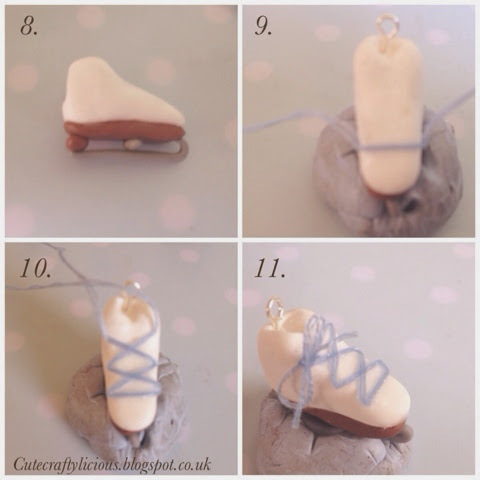 This will help to position the charm as you add the floss laces. Take your super glue and dab a spot 3/4 of the way down the clay boot, towards the toe. Quickly position the centre of your embroidery floss on top of the glue(9). Do the same thing repeatedly in a zig-zag pattern to the top and don't forget to pull the threads tightly(10). Finish off by tying a bow and glue it in place(11). Once everything is in place and dry you can add a lobster clasp or other findings and varnish it for a shiney finish.